Booklet style wedding program. Cover made from mulberry and sugarcane tree free paper. 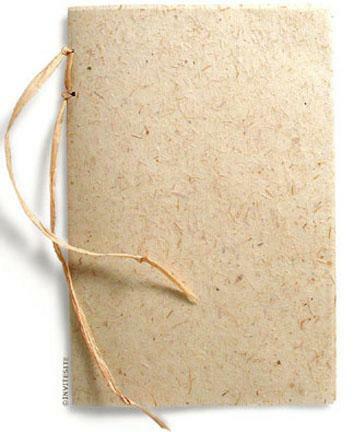 This sugarcane sheet is imprintable - you can print your names and date on the front cover. Print your ceremony information on multiple sheets of 70 lb 100% post consumer recycled milkweed paper (standard 8.5x11 inches). Inside Sheets Can Also Be Printed On Both Sides.